If you are looking for other options to double glazing either because your property is listed or you do not want double glazing then Markwell’s can also supply secondary double glazing for you. 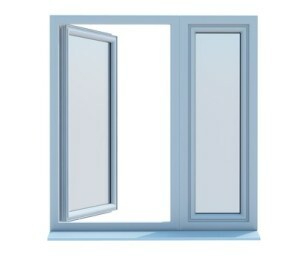 Secondary double glazing comes in a variety of colours and designs for those horizontal, sliding or vertical balanced tilt-back windows. Using a 6.4 laminated glass instead of the normal 4mm glass, will drastically reduce noise levels as well as increase the security of your home through these tough windows. Our company supplies and fits throughout the Essex and Hertfordshire areas and when it comes to secondary double glazing, we know that each property will have its own unique requirements. This is why we prefer to meet with you from the start and plan out a bespoke solution which fits in with your needs and most importantly your budget. Noise insulation – Significant protection against noise pollution from road traffic or people walking past. Energy saving – Major improvements in thermal insulation will save energy and reduce fuel bills. Security – Provides a protective barrier against intruders, making it harder for them to gain access. Draught proofing – Improves comfort and reduces the level of air and airborne dust getting into a building. The Markwell secondary glazing system is quite simply superb and comes in white, silver, brown or aluminum along with a choice of 4 different outer frames to suit any application. They can be 2, 3, 4 light horizontal sliders, vertical sliders, available with tilt facility, lift out, hinged or fixed, the choice comes down to you. Secondary glazing provides the ideal solution for properties where double glazing is not an option, like on some listed buildings. We have been working in this industry for many years now and can offer you our vast experience so you get the windows that work best for you. Why not give us a call today or pop into our showroom in Bishops Stortford to speak to one of the team about your individual requirements. We are sure we can help!